You guys, I’m so excited! 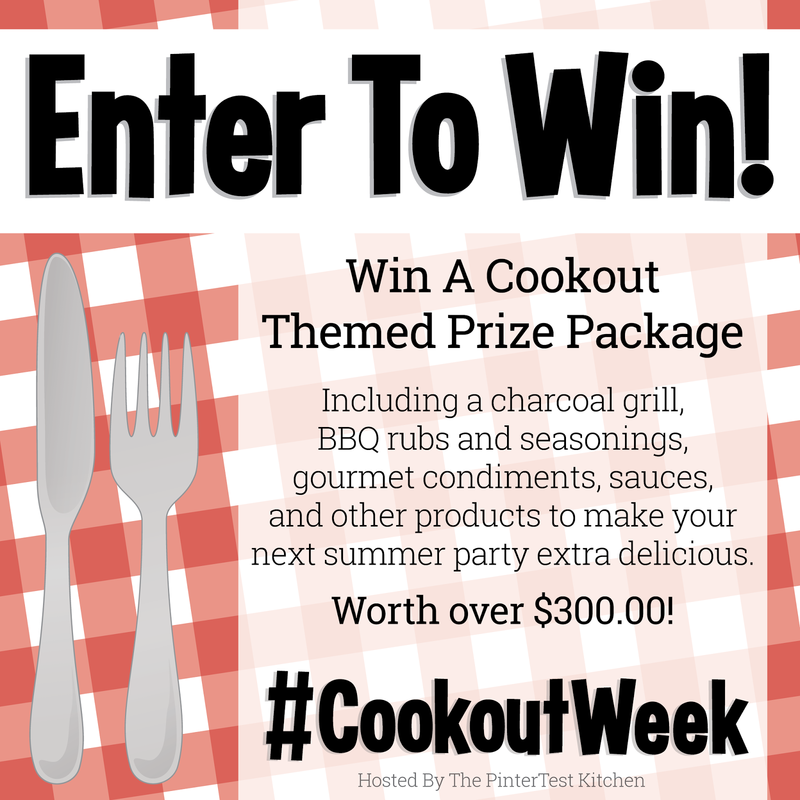 It’s summer, it’s almost July, and today kicks off Cookout Week! 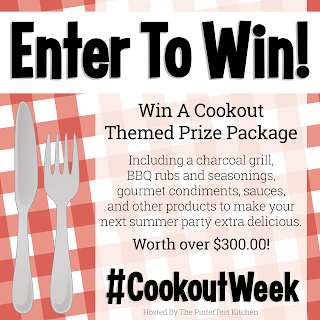 TONS of bloggers are banding together with sponsors to bring you a week filled with deliciousness! First let’s talk pie. July isn’t July without a patriotic dessert of some sort. And pie is totally my favorite! 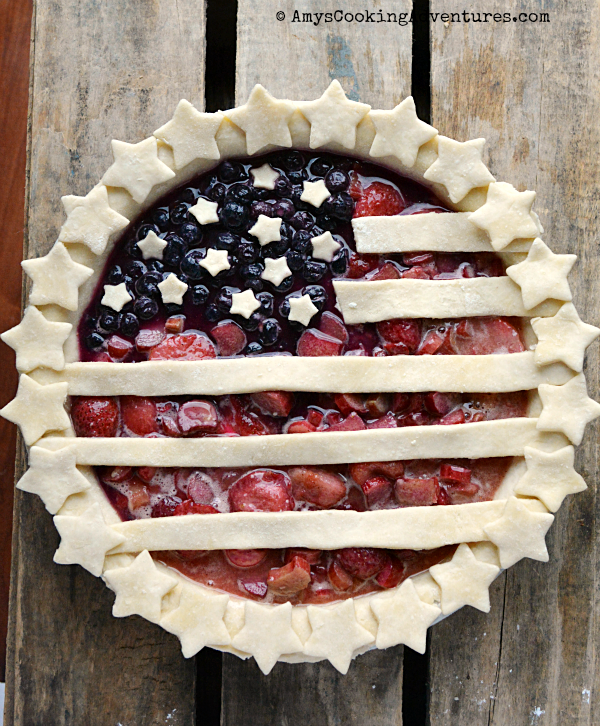 This year, I wanted to take pie to the next level – with red, white, & blue – stars & stripes – the whole nine yards! To make this lovely, I used a batch of Strawberry-Rhubarb Pie filling and a quarter batch of Blueberry Pie filling. After carefully placing the pie filling in the shell (taking care not to mix them), I used the dough scraps to make stars and stripes! 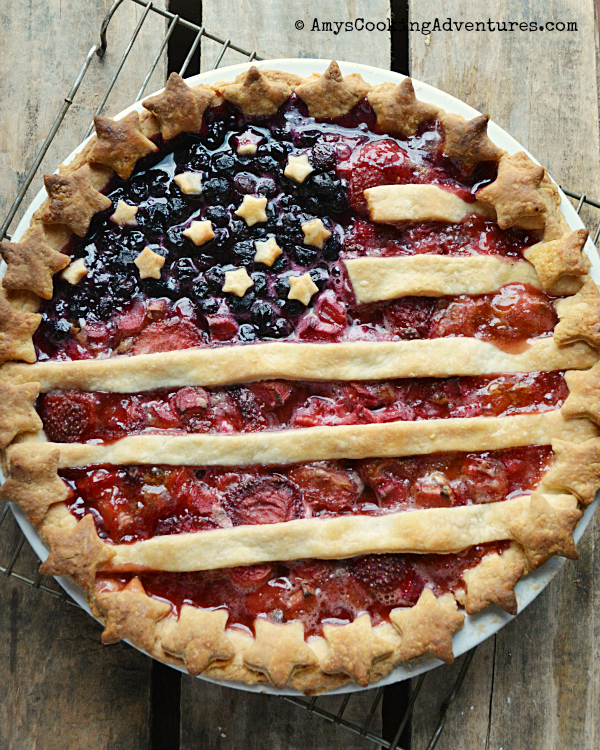 I just love this flag pie! 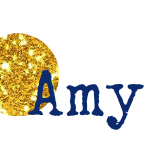 Over 50 bloggers have joined together with some awesome sponsors to bring you this event! Look for some great recipes in the link up all week. That pie ROCKS!! Love it!! This is such a pretty pie!! !